Our team are always happy to help, so if you are looking for advise for you, a member of your family or a friend, please contact us. The T1 small scrubber delivers a neat, effective cleaning option for your premises. 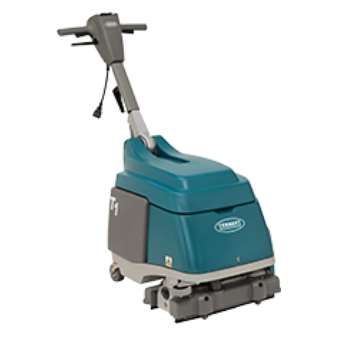 Tennant’s T1 Walk Behind Micro Scrubber is available either as mains or battery operated machine. 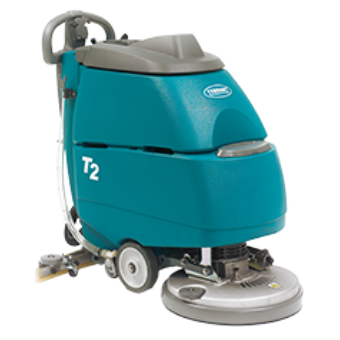 Achieve Tennant quality with the inexpensive T2 Pedestrian Scrubber. Easily accessible squeegee and brush that can be change with ease and in little time. Operator fatigue is reduced with the help of Pad Assist which helps move the machine forward. Distinctive pad driver and squeegee holder allows moving and storing simple and easy. The T300 Walk-Behind Scrubber-Dryer provides an exact solution for your specific needs with a versatility that is unrivalled. 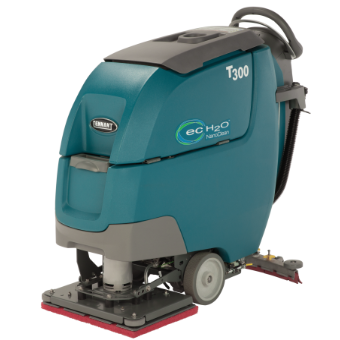 Achieve confidence from the battery power and squeegee system on the T300 while have the option to reduce water and detergent use with Tennant's innovative ec-H2O NanoClean™. Minimise water consumption with optional ec-H2O NanoClean™ Technology. Optional T300 LCD Pro-Panel™ provides on-board videos to allow the machine to operate in a safe manner for maximum results, simplified training, and reduced cleaning costs. Tennant pioneering scrubbing technologies help in achieving new levels of cleaning with the versatile T5 scrubber-dryer. Deliver exceptional cleaning performance and reliability even in the toughest environments. 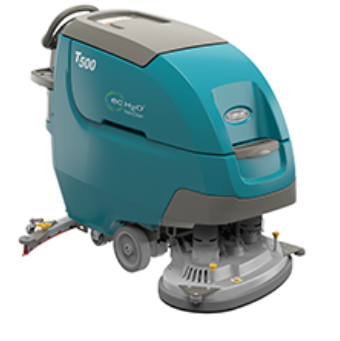 The T600 / T600e Walk-Behind Floor Scrubbers feature durable construction and a suite of productivity-boosting features. Help make your cleaning operation more productive by choosing from multiple cleaning heads and a variety of optional innovative technologies. Model T600 / T600e replaces Model 5700 / 5680. Scrub longer between empty and fill cycles with large-capacity 32 gal/121 L solution tank and 37 gal/140L recovery tank. 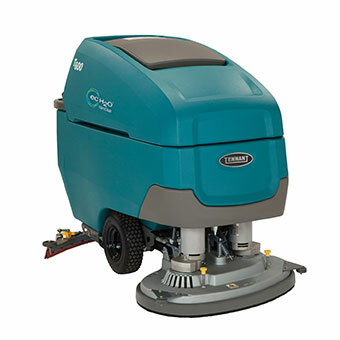 Clean virtually any hard floor surface with a wide range of cleaning heads including disk, cylindrical and an orbital option. Maximize battery life and extend battery run-time with the optional Smart-Fill™ automatic battery watering system. Simplify operator training with easy-to-understand controls featuring variable speed control bail, propel toggle and speed setting within reach. Withstand the toughest environments with industrial grade construction featuring a corrosion-resistant scrub deck and rust-proof polyethylene body and tanks.